I recently read Crisis Economics by economist Nouriel Roubini. For financial experts and non-financial experts alike, I recommend this book to anyone looking to understand the various causes that contributed to the recent financial crisis, the policy response that likely saved the economy from a depression, and the steps that need to be taken going forward to lessen the blows from future recessions. Frequently reading about layoffs occurring at [insert large company name here]? Though these types of events happen more often during recessions, they also occur rather frequently during all parts of the business cycle. This has always been a trait of capitalism; small, innovative, growing firms take business away from large, bureaucratic behemoths. But there's more to it lately. Author E.M. Goldratt recently passed away. 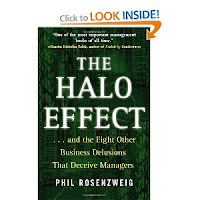 For those interested in operations management, I highly recommend reading his work. I read his first book, The Goal, a few years ago and it remains one of my favourite books of all time. I’m often told by visitors to the site that this content is rather advanced for the investing beginner. As such, a question I often receive is “Where do I start?” or “How do I become proficient enough to understand what makes for a good investment?” The answer is to learn and understand accounting. It appears Lexmark has been hammered twice for the same result. Last week, the company pre-announced that it would miss earnings this quarter and next due to weakness in Europe, and the stock fell 25%. Yesterday, the company more-fully announced its earnings, and the stock was among the biggest losers again! Might this provide an opportunity for value investors? After much pestering from investors, SuperValu is finally separating its Save-A-Lot business from the rest of the company in its financials. While the entire company as a whole is having trouble meeting expectations (earnings per share in its most recent operating period were just 19 cents against an estimate of 38 cents), there is a growing albeit small segment of the company that is quite profitable. When companies change auditors, it spooks investors. Shareholders wonder if an accounting disagreement between managers and auditors is the cause, which can indicate that shareholders are being mislead. Look no further than shares of Alco Stores (ALCS) last week, which fell as much as 14% during the day following its announcement that it has chosen a new auditor. Should shareholders be concerned? Let's face it, readers of this blog are big sissies. Yes, I'm talking to you! According to recent research, the above may have primed you to take short-term risks! Threaten a man's masculinity, and he becomes a short-term risk taker. In 2005, the chief economist for the US National Association of Realtors told The Washington Post that "there is no national housing bubble. Any talk about the housing market crashing is ludicrous." Since then, this man has admitted that in that job, he was pressured by executives to issue optimistic forecasts, and then was left to shoulder the blame when things went sour. "I was there for seven years doing everything they wanted me to," he argued. The lesson here is an important one for investors. Industry trade groups and company managers tend to put a positive spin on things. If you believe them without doing your own objective analysis, you are bound to become a sucker at some point. Consider a potential parallel in the current Canadian housing bubble. US Mobility (USMO) is a cash cow. While paging use is in definite decline thanks to mobile phones, there are certain niche segments (e.g. in healthcare) where customers count on its reliability and low costs. As such, USMO generates free cash flow of over $70 million per year, against a market cap of just over $300 million. The company is also debt free, with a net cash position of almost $35 million. Many large, recognizable retailers are trading as if their business models are dead. For example, among others, Staples, Best Buy, and Office Depot all trade at P/E's under 10 (in some cases, quite a bit under!) while the 45-year old RadioShack sells for barely more than its net current assets. Investors appear to have abandoned ship on the fear that Amazon is going to take all of these guys (and others) under. I'm much more pessimistic about our ability to make such predictions. Ryder System (R) saw its stock fall significantly after lowering its 2012 earnings estimate from a mid-point of $4.07/share to a mid-point of 3.75/share. As a result, the stock now trades at a P/E less than 10, despite the fact that the company may have a durable competitive advantage. The main problem cited with stocks trading at discounts to their net current assets is that there are no catalysts on the horizon, so presumably the stock price can stay there for a long time. The trouble with merger arbitrage is that the downside is large, as if the deal falls through, the stock could fall big. But at Oddball Stocks, Nate appears to have uncovered a favourable combination of these two circumstances. The stock is a net-net, so the downside may be protected. But at the same time, a buyout offer has been made above the current price, which provides the potential catalyst. Read the full article here. An excellent essay by Toby Carlisle of Eyquem Investment Management is available here. Carlisle breaks down the performance of value stocks over the last several decades, compares it to value fund returns, and discusses recent research into behavioural biases that are likely to explain the difference. Until a company reports its latest financials, investors are usually anxious to know whether business has been strong or weak in the months since the last report. Sometimes, however, there are hints investors may be able to use to answer this question. RadioShack investors may have received such a hint last week. As Pat Dorsey argued in his book about competitive advantages, one of the strongest advantages a firm can have is high switching costs. Recently, Dun & Bradstreet (DNB) was discussed on this site as a potentially cheap company with what appears to be a strong moat. Thanks to a find by Taylor, we can get a pretty good look at what perhaps the company's largest (at over 1% of DNB's revenue) customer sees when it ponders switching from Dun & Bradstreet. Goldman Sachs has consistently increased its book value in the mid-teens annually. Nevertheless, it currently trades at a 30% discount to its tangible book value (much of which is marked to market). Despite cyclical headwinds in the company's lucrative investment banking operations (low IPO and M&A activity), the company has a P/E of just 13. Just over a year ago, electronic component maker LGL Group (LGL) issued shares at a price of $20/share. Today, shares of the company sit at under $7! Because of the dramatic fall in the stock price, investors are potentially offered an opportunity to invest with limited downside risk.